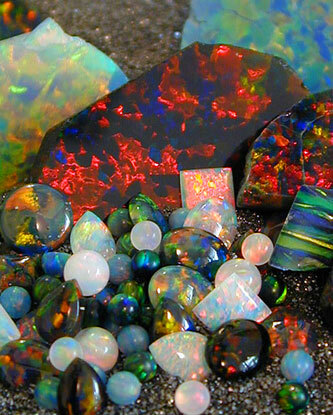 Our Gilson opal comes in many forms including rough, tumbled, chips and cabochons. We occasionally have 2nd quality material as well. Below and to the left are our different opal categories. Please email us if you have any questions or are looking for something we don''t carry. Browse these categories under "Gilson Created Opal"